I kept a secret, I tasted back in January and I loved them. 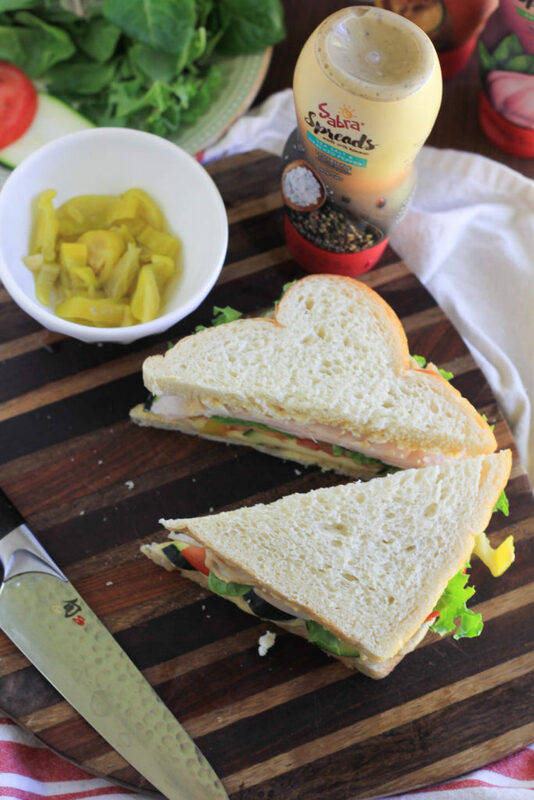 Every flavor Sabra came out with are made with fresh ingredients will go perfectly on all of our sandwiches. And you know I’ve revealed to you all that I am a sandwich lover all around. I make them a lot, so adding this for my health versus mayo makes me super happy because it’s better for us and has 75% less fat than mayo. Not to mention all of the good stuff hummus has for our health. It’ super convenient in a squeeze bottle! 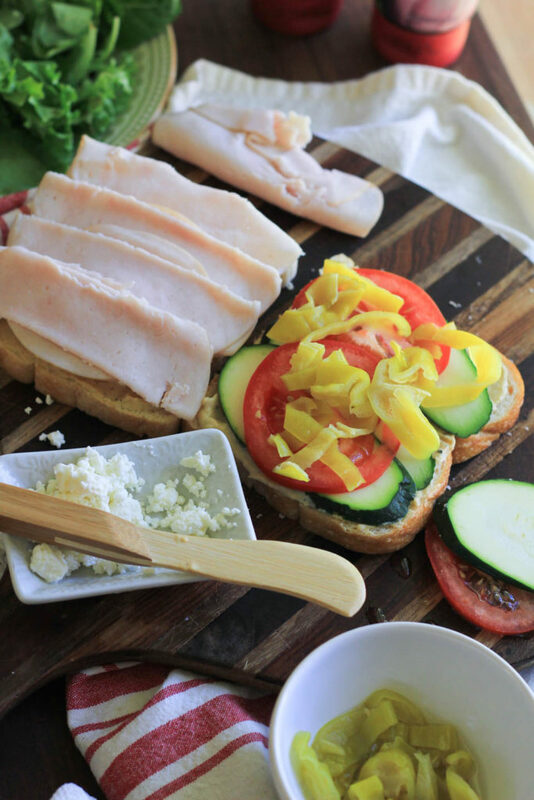 I’m all about that because usually is we are having sandwiches for dinner, it means I’m tired and want an easy but healthier than eating out dinner. This just makes my day! 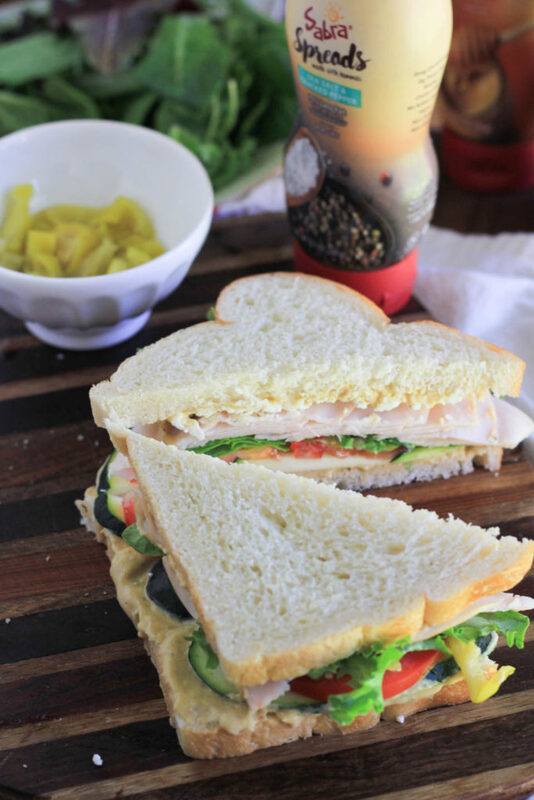 Plus you can add any vegetables you want to your sandwich. If we are having sandwiches, I try to add other vegetables to get more nutrients. So I added zucchini, tomatoes, greens, and peperoncinis for flavor and veggies! All three varieties are vegan, kosher, gluten-free, and non-dairy, contain 0g TransFat, 0mg Cholesterol and are made with the best quality ingredients. Spread hummus evenly over each slice of bread. On one side, sprinkle feta, top with turkey slices. Add zucchini slices to other slice, followed by tomato, top tomato with peperoncini, top with greens, then the other slice of bread. Enjoy immediately! Or pack up for a tasty lunch. 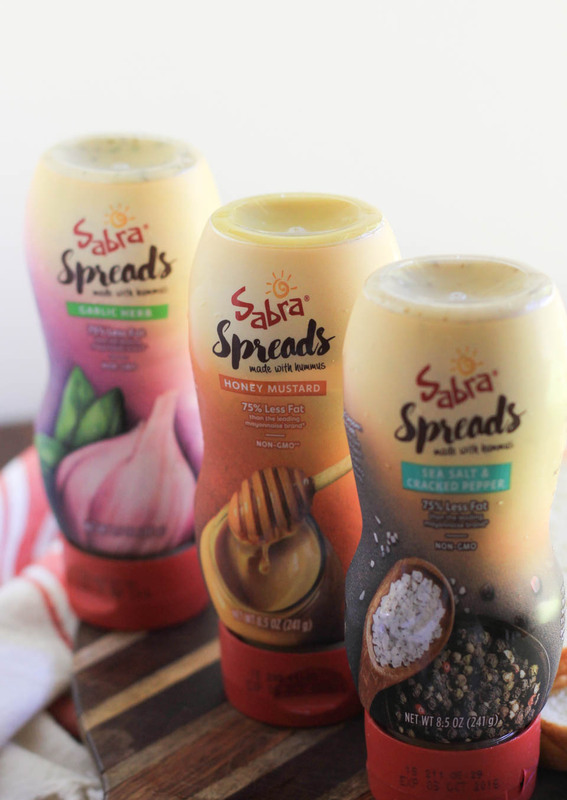 Tag me @notjustbaked @sabra and #SabraSpreads to share your Sabra creations with us! 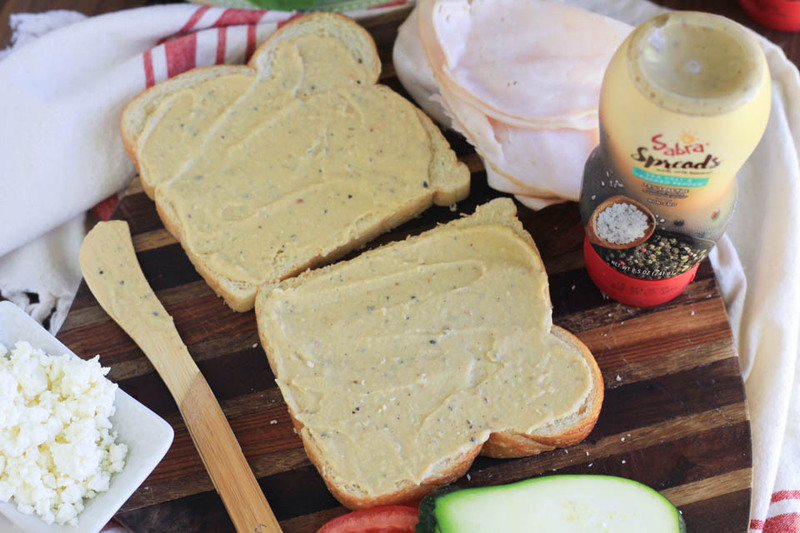 I’m seriously obsessed with that Sea Salt and Black Pepper Hummus Spread!! I can’t wait to make this sandwich with it! Me too, it’s a fave! Sandwiches are literally my favorite thing in the whole world and this one looks particularly ahhhh-mazing! Can’t wait to try that Sabra Sea Salt and Black Pepper Spread! Hahaha, meee tooo! Seriously, I eat them weekly and more than any kid I know :). I love the creamy feta in this! !